I once heard a quote, and forgive me but I am going to paraphrase it here. I believe the author was unknown, so I don't think I'm doing too much of a disservice. "Worries are like a bag of feathers strapped to the back of man stooped by the weight of what he believes to be bricks". I think this saying rings true with so many things in life. So much can load us down, when we let it. At times it feels impossible to believe that what you have strapped to your back is anything but bricks, sometimes it even feels like cinder blocks. Although the perception of what we believe we are carrying can change the load itself, another things that changes it is the transportation. I remember once telling a client that if he feels like his glass is only ever half empty maybe he should switch to a shot glass, that would surely be overflowing, right? How we contain things, changes them. Our recent piano moving experience placed a piano in the back of a 24x26 foot truck. In a truck like that, the piano is light, and easy to transport. Put it on a dolly for the next stage of transportation, and it suddenly becomes heavy, bulky and impossible to manage by yourself. So many of our burdens are like that; hard to manage on our own, even with the assistance of wheels. We could debate why it is so hard to reach out to others, but instead lets toy with something I've been talking to my clients a lot about lately - our burden backpack. Now these like everything else on my blog are just my thoughts,..so take from them what you want. But I believe we all carry a burden backpack around. In it we place those things that weigh us down: our latest stresses, our past traumas, our emotional baggage from what's his name that kissed you sweetly once and later stole your heart. You know what I mean, we all have some form of baggage, and most of us tend to tote it around. Ever been backpacking? I have. One of the important things about backpacking is having a balanced pack. You know, not putting all the heavy stuff on one side, or after a few hours of hiking, you'll have a really sore shoulder, and your back will feel all out of whack. I think most of the time, our burden backpacks tend to throw us out of whack too, especially since so many of us interact with them in an invalidating way. Instead of rifling through our baggage at times, we just continue to throw new stresses in there, and don't stop to adjust the shoulder straps, instead we just continue with the haul. What so many of us don't realize is when we take things out of our pack, share them with others (if your brave enough), it changes the burden, often making it lighter. It also gives us the opportunity to choose where in the pack it should go, and how heavy in there it needs to be. Even at times if it should go back in the burden back pack altogether. A chance to evaluate if this is really still something you want to wear, or if you ready to lay that particular burden down by path, and continue your hike without it? I don't want to be invalidating. I know there are some burdens that are heavier than others, and some things that no matter how much we talk about them, work through them, or forgive around them, they still hurt. And that is hard. However, I believe that the talking, the working through, the forgiving, and even the hurting erodes the burden a bit, even if it suddenly feels a bit more tender. 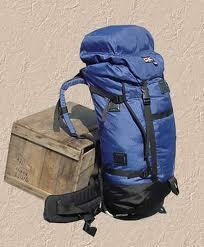 My hope is that this weekend, each of us would take off our burden backpack, lay out the contents and sort through it. Be vulnerable, be open, and then authentically decide what should go back in the pack, and where it should be loaded. After all I don't think any of us want to develop a hunch from being stooped over from the weight of all our feathers.